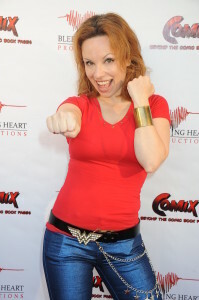 It was an amazing July evening and the stars were in alignment for the premiere of COMIX at the Regent Theater in Westwood where 200 fans, friends, and family turned out to support the film. What a blast! People applauded and cheered at the end, and I was so touched by all the great and positive responses. I heard people describe the film as inspiring, fun, and informative, and I can’t wait for everyone to see this film. We had some of the cast of the film there as well, like Marc Silvestri, co-creator of Image Comics and founder of Top Cow Productions. 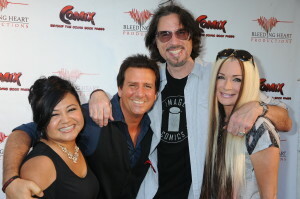 He is a legend in the comic book world and we were honored that he and his lovely wife, Bridget, were there. 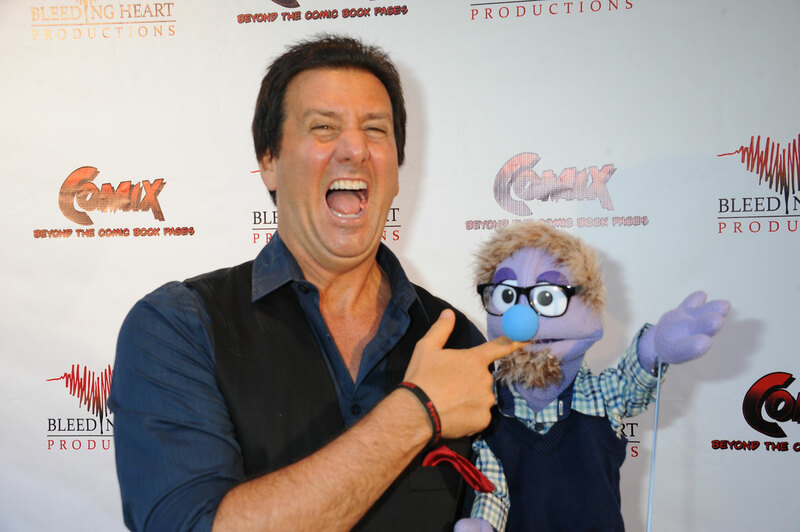 Fans and cast members, like the Vera Vanguard and Christopher Dennis, also known as Superman, came in full support. We had puppets there, and there was even an Elvis sighting! 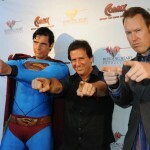 Superman, Michael Valentine, and Brian Ging want YOU to be a COMIX Crusader! To see the film on the big screen was a very emotional experience that represented twelve years of hard work. The night was topped off by an after-party next door complete with a COMIX cake and COMIX candy bars. I was even asked to autograph a few of them. It was a night that I will never forget!